You’ll never guess who the actor had his eye on at the time. 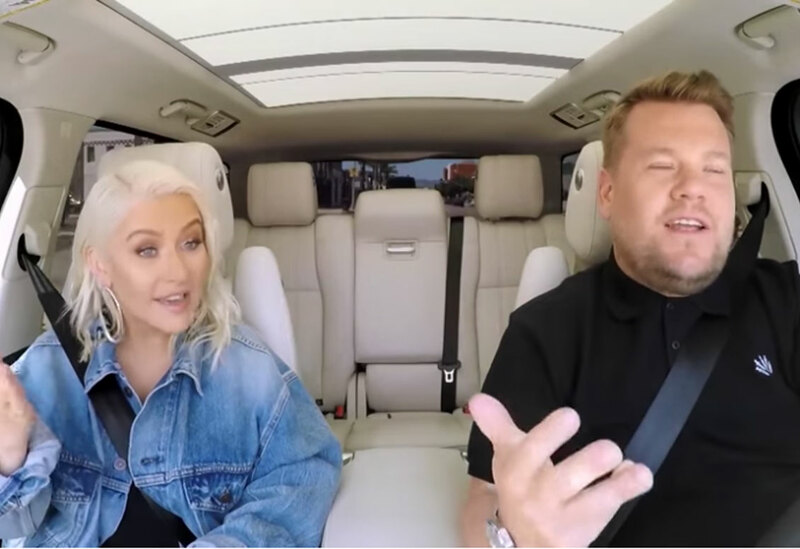 Christina Aguilera made an appearance on James Corden Carpool Karaoke Primetime special on Monday, and in between singing some of her biggest hits the singer revealed who former caste mate Ryan Gosling’s was crushing on during their time as Musketeers in The Mickey Mouse club. As fans may recall, The Mickey Mouse Club notably launched the careers of some Hollywood’s biggest icons including names like Britney Spears, Justin Timberlake, Ryan Gosling, Keri Russell, Christina Aguilera and JC Chasez. While driving along, host James Cordon asked Christiania if Ryan’s looks captivated her back in the 90s. "Even then, at that age, could you find yourself get lost in Ryan Gosling's eyes?" James Corden asked. “There were definitely crushes, but...I wasn’t on the train,” the singer said. “What train were you on?” the host asked. “Were you on the Timberlake train?” To which, Christina laughed and got tongue tied before finally admitting that she may have had a crush on the “Cry Me a River” singer. She later went on to reveal who Ryan had his eye on at the time. "I know Ryan he did actually have a crush on Britney," Christina admitted. Melissa McCarthy later joined the pair and surprised them by popping up from the back seat of the SUV. Melissa appears with Christina in the upcoming comedy Life of the Party. Watch Christina’s full “Carpool Karaoke” segment with James Corden here.